New York City, the afternoon before the Sixth 100Kin10 Annual Summit. 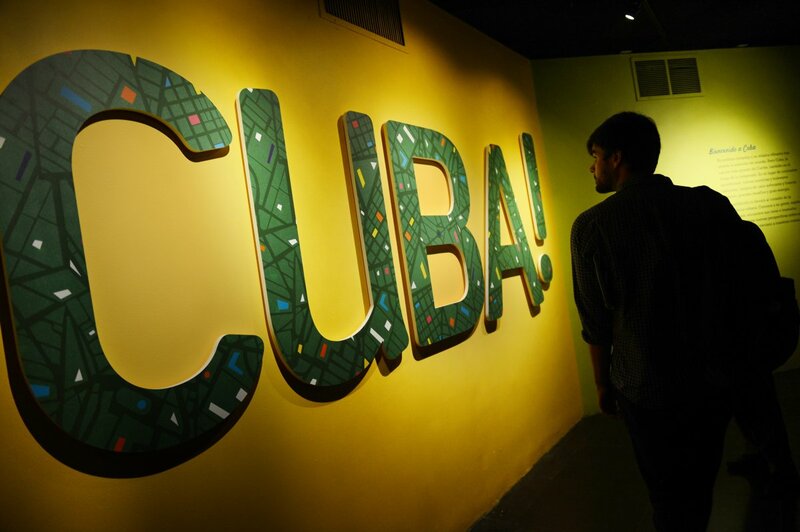 The crisp, spring air bristled with shared anticipation, as about thirty 100Kin10 partners gathered at the world-renowned American Museum of Natural History (AMNH) for a customized, inside peek at the work being done there. Open to all, these partner-hosted, behind-the-scenes tours have become a popular tradition, as they offer visiting partners a casual opportunity to learn about the host partner’s and each other’s work, while networking and “greasing the wheels” for collaboration. After touring the exhibit, partners returned to the Museum’s large, modern classroom space where the Senior Director of Science Education,and Co-Director of the MAT program, Ro Kinzler, explained that “research and education are the two primary activities of the museum… with over 500,000 school and camp group visitors per year… all free” and that these “onsite visits are complimented with a rich set of programs.” Next, came an overview of four programs and activities. Partners leaned forward in their chairs as Dr. Hudson Roditi described Urban Advantage (UA), a standards-based program designed to help improve New York City middle school students’ understanding of scientific inquiry. Currently in its 13th year, UA includes 40-50% of the NYC middle schools - 900 teachers, 80,000 students, 300 schools in the five boroughs. AMNH co-designed UA in response to the City Council’s finding that informal institutions were underused, teachers felt unprepared to teach science, and stronger partnerships between schools and informal institutions could be the perfect solution. Working alongside seven other NYC cultural institutions including other 100Kin10 partners, the New York Botanical Garden and the New York Hall of Science, the UA framework now provides 1) professional development for teachers; 2) classroom materials and supplies; 3) access to institutions via field trips and vouchers for students, families, teachers, and administrators; 4) outreach to families; 5) capacity-building and and sustainability structures, and assessment of program goals and outcomes. Dave Randle, the Senior Manager of Professional Development Working, first described the Museum’s dynamic on-site programs, driven by the Gottesman Center for Science Teaching and Learning which reaches more than 2,500 teachers per year through workshops on science topics, Next Generation of Science Standards (NGSS) curriculum design, Common Core State Standards and literacy. The AMNH also hosts NYC Professional development days twice yearly, as well as regular Educator Evenings which center around special exhibits. 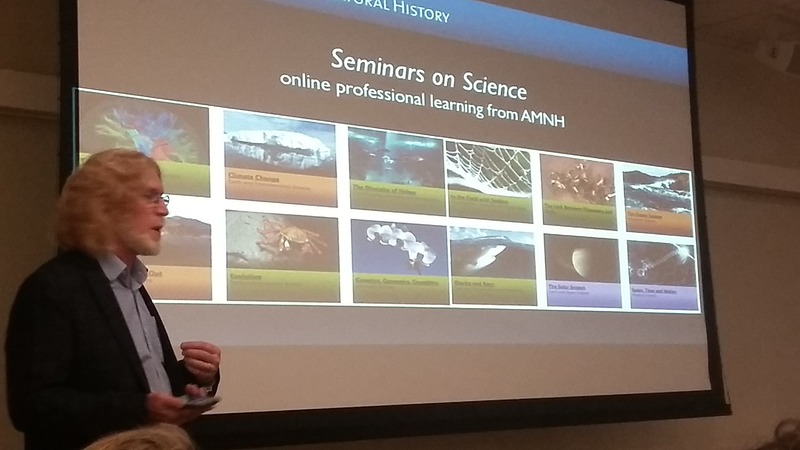 Next, Dave described the Museum’s online graduate level professional development program, Seminars on Science, six-week online courses, co-taught by museum scientists and experienced class-room educators. Since 2000, Seminars on Science has engaged over 10,000 educators around the world in cutting-edge research and valuable classroom resources. The Earth Science, Life Science, Physical Science courses are approved for graduate credit and the Museum has also created three educator MOOCs: Genetics & Society, The Dynamic Earth, and Evolution. Ro proudly announced that AMNH is “dramatically expanding its leadership and thinking about science literacy and museum learning experiences in a whole new way.” In accordance with their 100Kin10 commitment, the Museum has launched the Richard Gilder Graduate School (RGGS) Master of Arts in Teaching, a new teacher prep degree program. This bold step, which Ro described as “not traditional, but not alternative,” makes the AMNH the first science museum to certify teachers. The comprehensive and hands-on masters program enables Residents to do a 15-Month residency program focused on earth science. 100Kni10 partners let out an audible gasp when Jenny Ingber, Director of the AMNH Science and Nature Program and Family Initiatives, explained that PreK for All is a recent New York City initiative. In response, the Museum is actively exploring new ways to support teachers of young children, by expanding its learning and outreach initiatives network, supported by a 100Kin10 Early Childhood Active STEM Challenge Grant. For the grand finale to a full afternoon, 100Kin10 partners divided into four small groups to venture into the Museum’s special research collections, not accessible to the public. 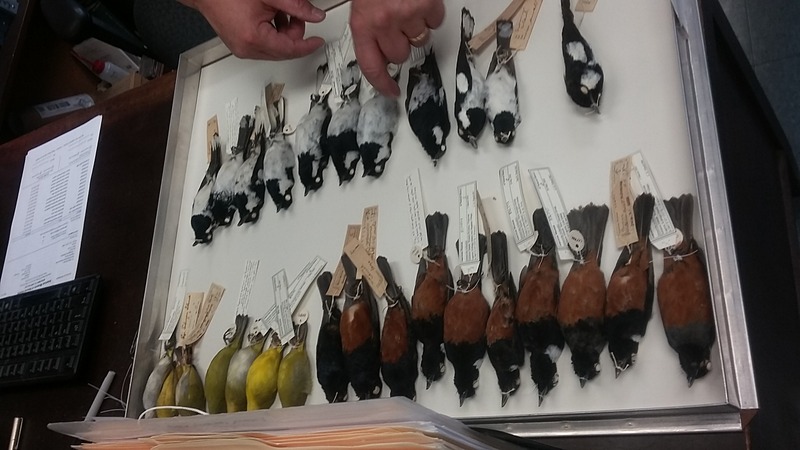 Choosing a tour wasn’t easy: options were the scientific study of Ornithology (birds), Herpetology (amphibians and reptiles), Ichthyology (fish), and the Frozen Tissue Collection. Wide-eyed partners listened as Collection Managers shared how the Museum collects and preserves specimens, creating a comprehensive record of the earth’s biodiversity, which is crucial in a time of massive species loss. “I’m a librarian, I get giddy,” said Melissa Thibault, Vice Chancellor at the North Carolina School of Science and Mathematics. Energized, partners then headed off to 100Kin10’s welcoming happy hour, as they agreed that the AMNH visit was “awe-inspiring” and “the perfect start” to the 6th Annual Summit - hosted the following day by another dynamic NYC partner - the Intrepid Sea Air & Space Museum.